OK, the Olympics are over – time to focus, focus! Stock Picking…Art, or Science (Part IV)?! Acceptance is the first & most important step in recognising inherent investing biases, and maybe trying to curb some of the worst excesses of hard-core value investing. [Of course, the same is equally true of growth investing]. This might take years…it definitely took me years! And pride often gets in the way – sometimes it’s nice to feel different, one of a select breed of smart investors who can boast of finding hidden gems in the rubble. But this is just an illusion – true growth investors are equally select. [Yes, most people seem biased towards growth stocks (if they ever mention stocks at all!?) – but in reality, they’re fairly clueless about money & investing. At best, they’re TALT* investors…] For them, genuine growth stocks are equally difficult & just as precious to find. And let’s face it – on average, in the real world, nobody can reliably claim value investing is superior to growth investing, or vice versa. But accepting your value investing biases, curbing your excesses, and exploiting your natural advantages, is surely the best way to maximise your comfort & your returns as an investor. Except this can ultimately prove a double-edged sword…the world you end up living in may just be a value ghetto. Sure, it may feel large enough, it may even feel comfortable enough, but if that’s as far as your horizons stretch, you’re missing out on a whole other world of opportunity out there. Forget about investment ideology – again, this is about diversification, and it’s about becoming a better investor. If you choose to ignore growth stocks & investing, you’re voluntarily cutting yourself off from vast swathes of the available investment universe – that’s countless companies, entire sectors, new/disruptive business models & secular trends, even geographies, etc. you’re missing out on, maybe forever…how does that make any sense? And even if you heed everything else I’ve written about diversification, how meaningful will the impact be if your portfolio remains blighted by the absence of growth stocks? 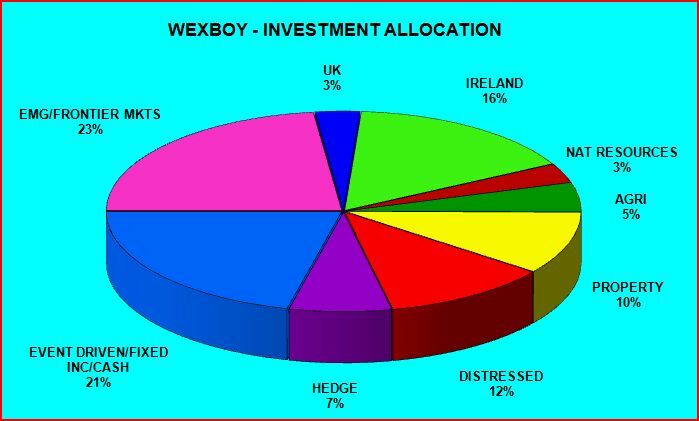 Oh Lord, I couldn’t resist – I fell for a stock flaunting a (near) 13% dividend…the damn hussy! Note I don’t mean their ordinary shares (RUS:LN) – I invested in their preference shares (RUSP:LN). I bought them in late 2009, so my purpose here isn’t to produce a new write-up – but rather to offer what might hopefully be a useful primer for analyzing & buying similar instruments. [Well, at some point – in the current climate, good credit opportunities are becoming increasingly rare. But see this Tetragon Financial (TFG:NA) write-up – though TFG sports a v different level of risk]. Of course, that’s really only useful if I can reproduce my original analysis & perspective – with the help of the financials & my notes from that period, I think I can do just that (hopefully eliminating the benefit of hindsight as much as possible). My 10-part series on catalysts last year (stretching from Jan to Dec!) was well received, judging by the readership & links. I vaguely promised a summary to wrap up the series – as we’re well into the new year (already?! ), it now seems appropriate to deliver that post (& hopefully it proves useful). By the end of last summer, I concluded there’s little point fighting the Fed… A fortunate decision, as the market’s been decidedly risk-on since then! Though I must say, the power of central bank liquidity still surprises me. If you recall, last summer, we appeared to face a pretty bleak outlook both sides of the Atlantic: The fiscal cliff in the US & the sovereign debt crisis in Europe. [Hmmph, different stories…same destination!] Personally, I considered the cliff to be just like those periodic kerfuffles over the US debt ceiling – no genuine threat, but divisive political rhetoric could certainly roil the markets (& perhaps prompt a rating-agency response). On the other hand, the European crisis…er, what happened, where the hell did that go..?! An Investment To Die For..! OK, to recap the latter part of my previous article, I put forward 2 (hopefully strong) arguments why you should embrace (unhedged) FX risk in your event-driven investing (and, of course, elsewhere in your portfolio). With AGI Therapeutics (AGI:ID/LN), however, I essentially faced no FX risk on the deal in the end. Remember, AGI traded in EUR (or GBP) but the takeover price was $0.1171 per share (and holders could opt for equiv. EUR proceeds). My solution was to round-trip surplus USD I had available. Yes, I’d incur a small FX spread to convert USD for my EUR share purchases, but by opting to receive USD takeover proceeds I’d eliminate subsequent FX risk, and end up back in USD cash.